Acne is a skin condition that does not discriminate. Whether young (pre-teens) or older you can suffer from acne. People with oily skin are most prone to Cystic Acne. Acne, also known as Acne Vulgaris is a long-term skin condition that occurs when hair follicles are clogged with dead skin cells, oil, bacteria, and dirt from the skin. Most acne conditions are treated with medication from over the counter if you have mild acne, but if you suffer from severe acne, a doctor's prescription might be required. The after effects of your acne treatment will more or less be acne scars because of the inflammation that your skin experienced. 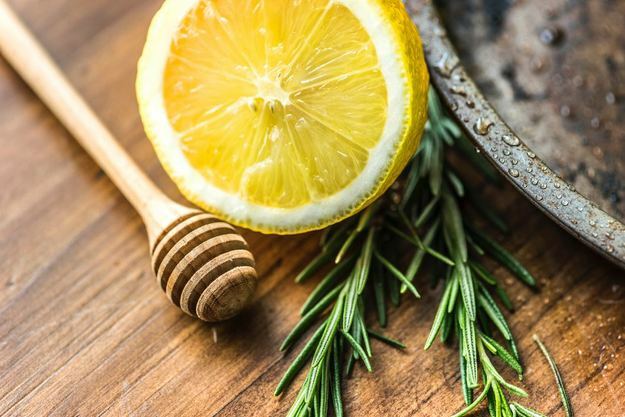 If you suffer from occasional zits or a mild form of acne, here are some home remedies that you can try to help treat your acne. 1. Gentle Cleansing With Salicylic Acid: Get rid of acne by gently cleansing your skin with a gel cleanser that has active ingredients such as salicylic acid. Salicylic Acid gently exfoliates the skin getting rid of dead skin cells, killing the bacteria responsible for causing the acne, unclogging your pores, and curbing the production of excess oil. My favorite cleanser to use is the MD Complete Clarifying Cleanser; it has 2% Salicylic Acid and natural botanicals to cleanse your skin thoroughly. 2. Toning: Toning is very important if you suffer from acne or have oily skin. After cleansing your skin, your skin's pH changes so to get your pH back to balance; it is vital to use a toner to get your pH back to a healthy 5.5 - I love Thayers Witch Hazel Rose Petal Toner, this toner works to curb acne, exfoliates your skin, and gets rid of acne scars. This toner contains great ingredients such witch hazel and citric acid which both works to exfoliate the skin giving your skin a smooth, toned, and glowing texture. 3. Healing Masks: Hydrate and heal your skin with facial masks. Apply a facial mask at least twice a week for beautiful skin. At home ingredients such as yogurt, cinnamon, honey, and essential oils help to fight common causes of acne and help also to hydrate the skin. 4. Spot Treatment: If you suffer from mild acne or occasional acne, you can spot treat your acne with ingredients such as tea tree oil, coconut oil, honey - These ingredients have anti-bacterial and antiseptic properties that will help kill the bacteria responsible for your acne. 6. Take Probiotic: Fighting acne is both internal and external. Look for a potent probiotic that will help fight harmful bacteria in your gut. Live probiotics support healthy digestion, immune system function, and improves skin's health by battle acne. Yogurt and Kefir contain live active culture - you can get them from your local grocery store. How do you control your acne? You are welcome! Thanks for reading! I hope this new year is good to you.